(Natural News) Soda products – from Dr. Pepper and Coca-Cola to Mountain Dew and Pepsi – are getting a cold shoulder from the American market as consumption and sales plunged to a 31-year low in the United States in 2016, reported Beverage Digest. 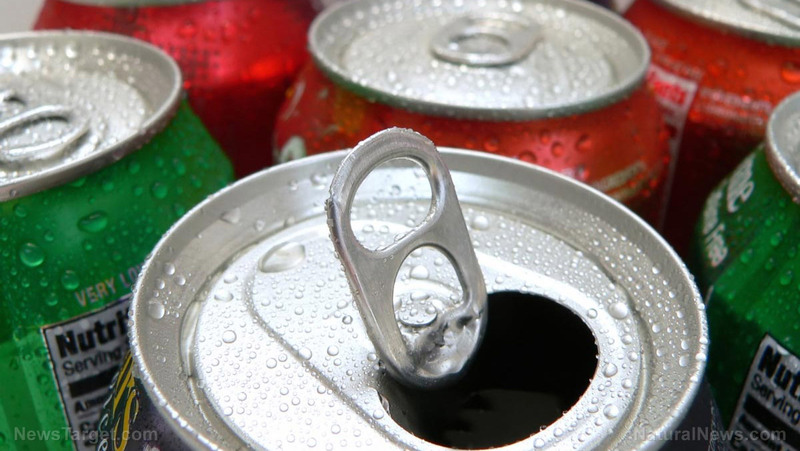 Beverage Digest executive editor Duane Stanford said that the decline in patronage can be attributed to consumers’ preference for more healthy food and beverages, the publication reported, as support for higher-calorie products such as sugary sodas and fruit beverages is slowly ebbing. “There have been two seismic consumer shifts in beverages. The obsessive hunt for variety and the need to better balance sugar and calorie consumption. Add to that a growing desire for labels and more functional ingredients and this is a revolution,” he said. It might seem that the two big softdrink brands that would be most affected by this occurrence would be The Coca-Cola Company and PepsiCo, Inc. However, this might not be so, as both companies have, over the years, been straying away from selling merely softdrink products and venturing towards selling teas, bottled water, sports drink, and other higher-growth beverages. Coca-Cola is immersed in the energy drink market via a large stake in Monster Beverage Corp. and PepsiCo has a diverse array of product lines, including Frito-Lay and Quaker. Local soda manufacturers have felt this shift in patronage. “Sales have declined over the last 20 years every year, year over year. I can verify that they are at a 30-year l0w. There’s been a major shift to iced tea or water. Vitaminwater, Gatorade,” said J. J. Bromwell, manager of Link Beverages in Coopersburg, Pennsylvania. So what should a far less influential soda company do during these circumstances? According to Allentown, Pennsylvania-based beverage firm A-Treat Bottling Company manager Luke Jaindi, re-branding is crucial to the growth of the business. “People want a story, they want history, they want legacy with a product. And they want diversification and a flavor portfolio. That’s what A-Treat has to offer. When we’re talking about A-Treat, it’s more of a regional, niche, craft sort of brand,” Jainid said in an interview with Philadelphia news station WFMZ. Soda companies still holding out hope? He added that soda companies will survive, as long as they adapt to the needs of their customer base. The only question, now that consumers have increasing demands when it come to health and wellness – such as stopping the use of pesticides on fertilized crops or the reduction of high-fructose corn syrup in foods – is how to do so. According to Clearview Regional Medical Center’s Metabolic and Bariatric Services registered dietitian nutritionist and coordinator Kenna Glick, companies are making advertisements for “better and healthier products, but tend to only change out ingredients for new ones”. Read up on more stories such as this one at Sweeteners.news.